Recently, we we’re asked by the lovely people at Argos to spread the word that they are the place to go for all things “at-home fitness”. So we came up with a pop-up concept that combined the design touches of a welcoming and on-trend living room with a state-of-the-art work out space. The first out of home home gym, if you will. To our surprise, we also found our pets were keeping us company and that we preferred working out with furry friends, as they wouldn’t judge our burpies or sneer at our squats … a common problem at the gym. All of this lead us to opening The House of Fitness by Argos, where the public could take part in specially-designed fitness classes to recreate at home. 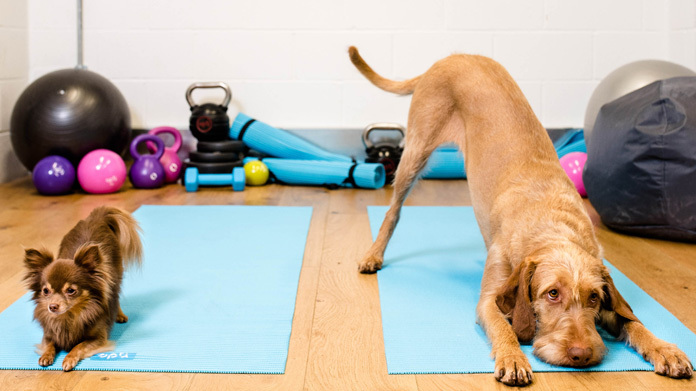 From HIIT, to strength and mobility, yoga to … er … Pet-cercise. Open for a limited time, we hosted media including Evening Standard, The I, Women’s Fitness, Press Association and The Sun at our kick-off class, led by Argos brand partner, Carly Rowena. Further public classes were held by former Mr. World, Max O’Connor and London Fitness Guy (amongst others). The media lapped up the latest buddy workout trend, with crackers across METRO, The Independent, Evening Standard, Time Out, Balance and House Beautiful with more besides.